On a drizzly day when picking was called off early, I crossed the gorge with friends to spend the day in Queenstown. Queenstown is home to the Kiwi bird life park, a conservation centre home to three Kiwis, and several other native New Zealand animals. 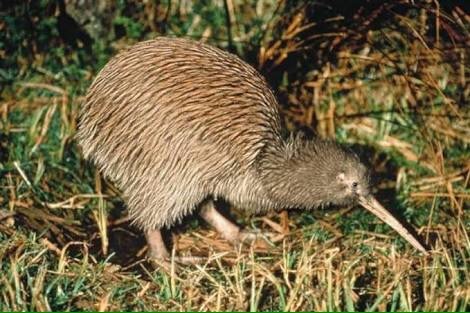 The Kiwi is a nocturnal and flightless bird. It still has evidence of having wings but as New Zealand has only one native mammal, a bat, it had no land predators and no longer needed to fly. Now it’s legs are no longer hollow and lightweight enough to fly and it has been hunted to its current endangered state by introduced species such as stoats, ferrets and possums. As your eyes adjust to the darkness you notice the shuffle of the kiwis fluffy body and long thin beak poking around in the earth for worms. Kiwis nostrils have also moved down its beaks over time, at its top to help it smell its food. This is the only species to have done this and as birds beaks are measured from nostril to tip, this long beaked bird technically has a beak of 2mm. They are quite incredible and cute little fluff balls, the female bigger than the male to carry the large egg, the proportionally the biggest egg of any bird. 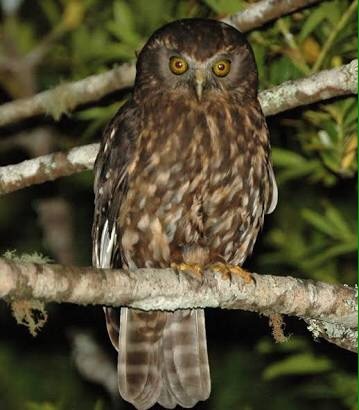 Also in the park was the Morepork owl, his large eyes watching you as you moved around his pen, his vertebrae able to twist up to 280 degrees. His wings are silent in flight so he can approach his prey soundlessly. At the conservation talk we also got to learn about the red headed Kakariki, a bright green parrot with a red head. 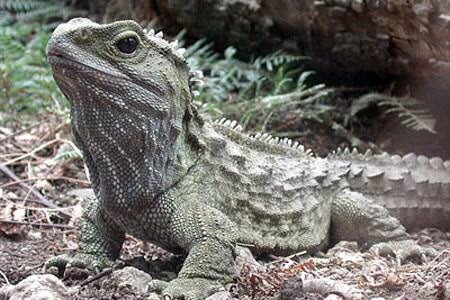 We were introduced to the Tuatara, a lizard with a 200 year life expectancy. This prehistoric creature is born with a third eye which is later covered with skin and continues to puzzle as to its use. It’s back is characterised with spines and its tail curled as is represented in Maori carvings. Finally, an enemy to NZ’s native creatures, we booed the fluffy Australian bushtail possum. It’s now hunted and controlled within the country as a was to eradicate the threat to bird life and can most commonly be seen as a scarf or gloves. Among others, the park was a great way to get up close to New Zealand’s native creatures and continue the work of preserving them for the future. We watched as the keeper buried worms around the kiwis sanctuary and they scrambled to devour their juicy lunch. I think I agree, such a sweet little owl!